On the horizon, from the left are Grasmoor and Eel Crags, with Robinson in front and Brandreth in front of that; Grisedale Pike; Dale Head; High Spy; and Skiddaw in could in the background. 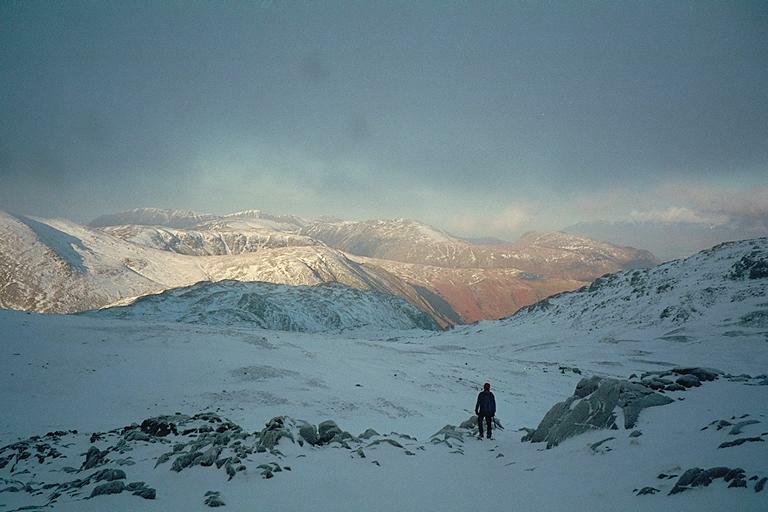 On the extreme left are the slopes of Green Gable leading down to Base Brown. Seathwaite Fell is in front of that. Allen Crags is on the extreme right. Smaller version of this picture.